Kingfisher Plumbing is one of Tauranga's authorised installers for Hynds Wastewater Treatment Systems and Biocycle Systems. We can provide the wastewater treatment solution for you, including site inspection, design, building & resource consent applications, installation and regular servicing. A wastewater treatment system will only perform as good as the service it receives. We can also offer a service contract to ensure ongoing optimum system performance. Two visits per annum are recommended to ensure compliance with Council rules and resource consent conditions. Hynds Wastewater Treatment Systems are designed to suit specific site conditions and household requirements. Each system’s design includes an assessment of the local Council regulations, or consent conditions. 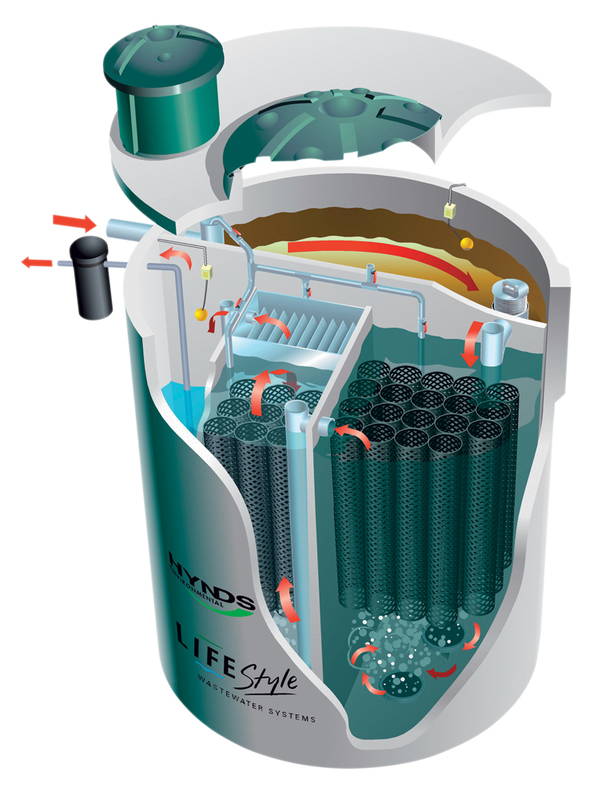 The Hynds Lifestyle ‘Elite’ System is designed for the larger home, or multiple dwellings. This system separates the primary and secondary treatment processes into two large tanks. The increased tank volumes also offer protection against surge flows that can affect system performance. 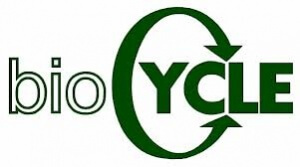 Biocycle Systems' specialty is being able to handle on-site domestic sewage disposal. This system has proven to work successfully in thousands of homes throughout New Zealand and in different countries around the world. It is accepted by all local authorities in New Zealand as a completely reliable sewage disposal system. 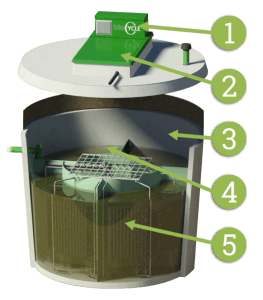 There are different Biocycle System options to suit different requirements, larger capacity tanks for large homes and complexes, septic tank conversion kits and surface or below ground irrigation systems. Odourless, user friendly system that enhances quality of life. Provides re-use of valuable water. Lower operating and maintenance costs. Protects our natural resources and our environment. Single tank multi-chambered system, easier installation. Visit Hynds and Biocycle for more info on the units.